Energy advocates and Sustainos are celebrating as the first U.S. offshore wind farm has been approved. The 130-turbine development on Horseshoe Shoal in Nantucket Sound is nicknamed Cape Wind, and it could provide up to 75% of all electricity for Cape Cod, Martha's Vineyard, and Nantucket. So, why did it take so long? Some detractors of the project are firm in stating that it will stand tall on sacred Indian ancestral grounds, hinder the local landscape (potentially blocking the Kennedy compound's view of Nantucket sound! ), hurt prospects for local fishermen who are dependent upon areas that will disappear when the wind farm is built, and perhaps interfere with airplane radar. The project may raise electricity prices for local residents, which is speculative, to cover the upgrade costs for the electrical grid and transmission lines. Supporters of the project have illustrated that numerous case studies of wind farms across Europe (both on and offshore) have mitigated air traffic/radar interferences, and helped to provided jobs. This project is merely the gateway to opening up the U.S. to more offshore developments. 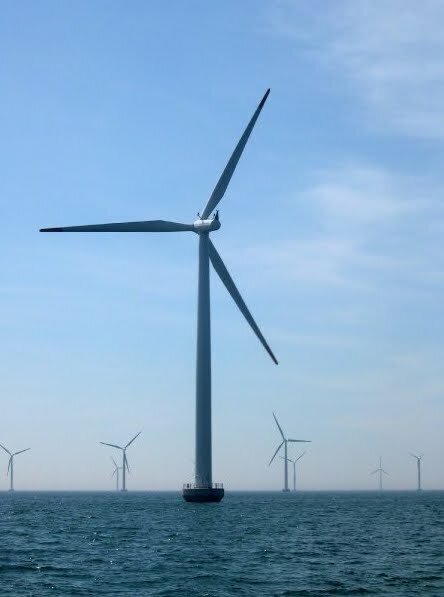 With Cape Wind, it will cut CO2 emissions by almost 1 million tons per year, or approximately 1% of total greenhouse gas emissions in Massachusetts. Given that our economy is in the tank, we have roughly 10% unemployment, and our dependency on foreign oil and coal continues to rise, I would say now is the time we build upon the success pure, clean, affordable energy for our nation. Go Cape Wind! Go Sustaino! An advocate observing how companies, brands and technology are becoming modern day heroes in today's green economy.